Dr. Veronica Walker has practiced dentistry in Kernersville, NC for over twenty-nine years, providing high-quality restorative dental care for her patients. She has the knowledge, experience, and compassion to meet your dental needs. It is important to Dr. Walker to provide her patients with options in the replacement of missing teeth. When teeth are missing, patients often report difficulty chewing, speaking, and smiling. Dr. Walker is available to help you choose the appropriate treatment options best suited for your needs. We offer tooth-colored fillings made from composite resins for treatment of dental decay, chips, or cracks. Dr. Walker in Kernersville, NC has been asked by many patients to replace existing amalgam fillings with tooth-colored fillings, and she is often able to do so. She will also be happy to discuss your preference in treating your dental decay or damage at the time of treatment. There are some insurance providers that will not cover the cost of tooth-colored fillings, and we’ll be happy to place amalgams to help you maximize your coverage. However, there are a number of reasons why composite resin fillings may be the preferable treatment option. In addition to their cosmetic appeal, composite resin itself allows for a more effective, natural feeling restoration compared with amalgam. Metal fillings are crafted outside the mouth and held in position by wedges placed in the healthy tooth structure. Because we’re able to apply the putty-like composite resin directly to the tooth, this restorative solution is more conservative, allowing us to preserve the maximum amount of healthy dental structure. Once the composite resin is in place, we harden the material onto the tooth using a curing light. The entire process is quick and virtually painless. 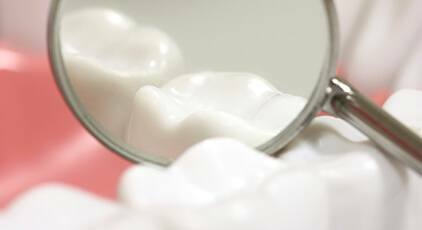 A crown is needed on a tooth to restore, protect, strengthen, and improve function of a tooth. Dr. Veronica Walker offers crowns available in three different styles: full porcelain fused to metal, full ceramic, and gold alloy. Dr. Walker consults with her patients as to which material is suitable for them. She will create a crown that feels natural and comfortable in your mouth. 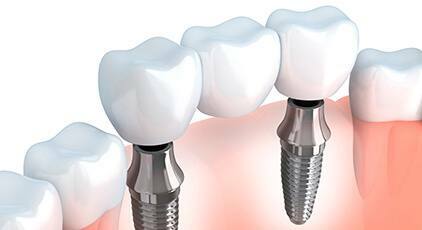 Another option Dr. Walker offers for tooth replacement is a fixed bridge. A fixed bridge is attached to the natural teeth next to the space left by the missing tooth or teeth. The missing tooth will be replaced by an artificial tooth that is attached to the crowns on adjacent natural teeth. Dr. Walker creates a fixed bridge which looks, feels, and functions like natural teeth. It is cemented into place and there is no need to remove it to maintain dental health. Dr. Walker has the ability to provide her patients with removable bridges, also known as removable partials. A removable bridge replaces your missing teeth with an unfastened appliance that has replacement teeth attached to tissue-colored plastic bases connected by a metal frame. 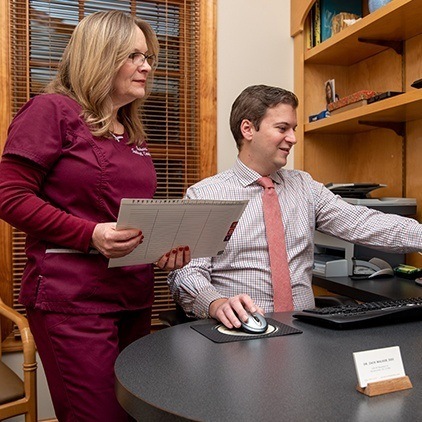 At her office in Kernersville, NC, Dr. Walker will be happy to consult with you about your dental needs in replacing your missing tooth or teeth. She will offer the highest-quality product custom-designed for your needs and ensure that you feel comfortable and satisfied with your tooth replacement. Dr. Walker will be happy to consult with you about improving your chewing ability, helping your speech, and restoring your smile with natural-looking dentures. Dr. Walker will spend the necessary time to ensure you feel like you have your teeth back. She will often ask patients to bring in photographs from the time when they had their natural teeth. 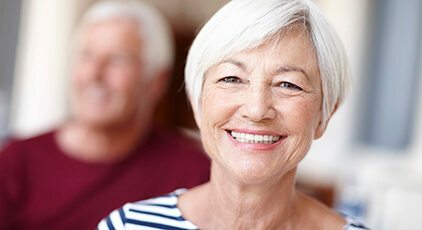 Full dentures provided and designed by Dr. Walker are made with the highest-quality materials and the most natural-looking teeth. Comfort and confidence in wearing a full denture is what Dr. Walker hopes to achieve for all of her denture patients. Dr. Veronica Walker provides restorative dentistry services to Kernersville, Winston-Salem, Greensboro, High Point, and beyond. We invite you to make an appointment at our Kernersville, NC office. Contact us today! Root canal therapy is a way to rescue a severely damaged or decayed tooth from extraction. This oral procedure allows your dentist to clean out the damaged interior of a tooth and replace it with a biocompatible material. Many teeth that are treated with a root canal can last for years and years to come.